"I'm very passionate about my work and this industry! Through this passion you will find a strong determination to exceed all of our client's goals and challenges". C2 Forensic Images is a Houston, Texas based legal animation company that works with Attorneys and Expert Witnesses from across the United States. 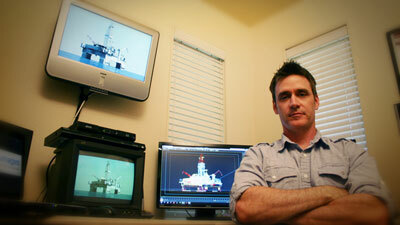 Technical animator and C2 Forensic Images founder, Chris Cummings, received his Bachelor of Arts in Video and Film Production at the University of Houston and has completed several advanced 3D software training programs throughout his career. After working for over a decade at a well known accident reconstruction firm, Chris broke off on his own to form C2 Forensic Images in 2002, which continues today to support the legal industry. C2 Forensic Images' mission is to provide its clients with an edge in trial through the use of 3d forensic animation and other demonstrative tools. Demonstrative evidence through the use of computer-generated animation can be a powerful evidentiary tool. Because of its influential power, there must be special attention with regard to admissibility. With nearly 20 years of forensic animation experience, C2 understands the importance of providing its clients with a technically accurate, relevant and non-prejudicial animation that will stand up in trail. For these reason, over the years C2 has gained the trust and repeat business of its clients from both defense and plaintiff sides. Whatever your legal demonstrative needs are, you can trust that C2 Forensic Images will be there to get the job done!